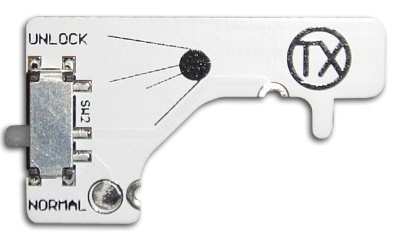 You never have to solder/unsolder the trace cut again! At the moment when using a Sputnik Probe you have to repair the trace when you have finished programming, and if you ever need to flash the drive again you would have to de-solder. This simple PCB addon enables you to solder the board once and then thats all you will ever need to do. The simple switch will open / close the circuit and there is an extra large pad to use when probing for when you need to unlock the SPI. Easy to install - takes minutes ! I recently placed an order, immediately realized that I had hit the wrong product button, and emailed Mr. Sylvester explaining my mistake. The product I wanted to receive was the same price as the one I accidentally ordered. My mistake was corrected instantly and I received my order quickly. It was an entirely painless process even though I made a mistake. Products I ordered were here (US) quickly, in perfect condition and worked perfectly. Thank you again for making things so easy. I am ordering something else Right Now!